Juniper Networks, an industry leader in automated, scalable and secure networks, today announced that Fujitsu Limited has deployed Juniper’s cloud management platform AppFormix in Japan, as a key part of ensuring the operational efficiency of the new region of its widely adopted enterprise cloud platform Cloud Service K5. 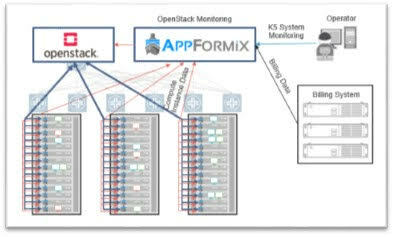 In addition to significantly reducing operational burden and complexity, AppFormix’s unique user-friendly GUI dashboard displaying real-time reporting and high level compatability with OpenStack has also allowed Fujitsu to better plan resource consumption and capacity expansion, which is crucial in light of potential continued service expansions of the K5 platform in the future. “AppFormix is a crucial component of our K5 platform, especially for the understanding of real-time cloud usage status through its intelligent dashboards and seamless integration with billing systems. We are excited to further develop our partnership with Juniper Networks, as we anticipate greater scope of applications for AppFormix going forward, particularly for advanced operations utilizing AI,” said Masahiro Ohta, SVP and Head of Cloud Service Business Unit, Fujitsu Limited. He adds that AppFormix is delighted to be an integral part of Fujitsu’s K5 Cloud Service platform, an exciting partnership in our challenge against complexity. We look forward to the continued advancement of AppFormix solutions in support of Fujitsu’s operational needs going forward, especially for the potential global deployment of K5 as a continuation of our long-term, firm partnership.